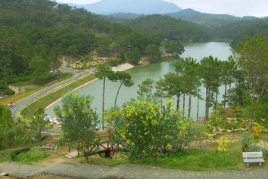 Just as true love has to surpass several obstacles, the Valley of Love inÂ Dalat had to surpass many challenges in the past in order to gain its rightful name today. In the beginning, the valley was called Vallée D’amour (Valley of Love) by the French before being renamed The Valley of Piece. In 1935, its beauty and captivation persuaded people to once again name it after the most wonderful thing in the world: Love. 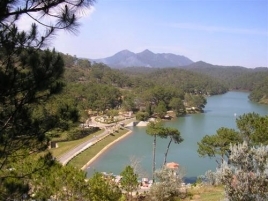 The Valley of Love is 5km north ofÂ Da Lat, Vietnam. Its former name is Valley of Peace. 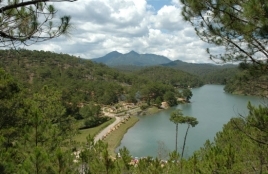 In 1972 with the creation of lake Da Thien, its name was changed. 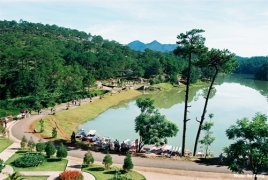 Just as true love has to surpass several obstacles, the Valley of Love in Dalat had to surpass many challenges in the past in order to gain its rightful name today. In the beginning, the valley was called Vallée D’amour (Valley of Love) by the French before being renamed The Valley of Piece. In 1935, its beauty and captivation persuaded people to once again name it after the most wonderful thing in the world: Love.